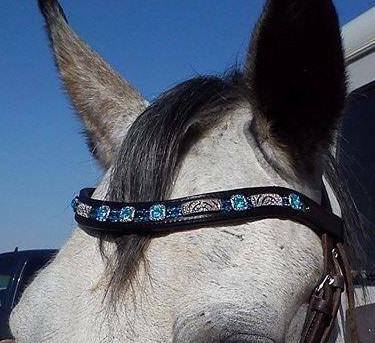 The Bedazzled Horse offers a variety of horse products with bedazzle! We started with horse shoe wall art and are progressing to horsehair keychains, bedazzled browbands, dog collars and belts. The horse shoes are real. Some are used some are new. The feathers are real. The beads are a variety of sources. We also do custom work! !